Berkeley, CA â€“ 4 January 2011—Today best-selling writer Ed Brubaker and his frequent collaborator and artist, Sean Phillips, debuted Image Comics’ first new hit title for the year 2012, FATALE. This much-anticipated new series has already sold out at distribution level, despite a generous overprinting. A second printing is now underway and will arrive back on shelves next month, appearing alongside the second issue. 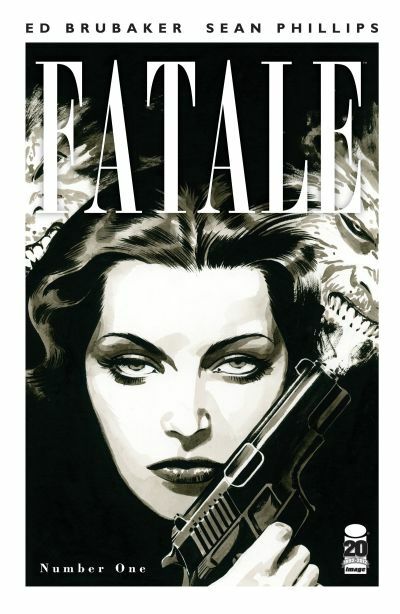 FATALE tells the story of a reporter in 2012 who stumbles on a secret that leads him down the darkest path imaginableâ€¦ to a seductive woman who’s been on the run since 1935, a mobster who may be an immortal demon monster, and the stories of all the doomed men who’ve been caught in their decades-long struggle. FATALE blends noir and horror to tell a riveting epic unlike anything readers have ever seen before. FATALE #1 (“Beauty” Cover A: NOV110354, “Beast” Cover B: NOV110355), a 32-page full-color noir horror comic book for $3.50, is on sale now until supplies run out. A second printing of FATALE #1 (NOV118137) is available to order now, and will go on sale February 1, alongside FATALE #2 (DEC110551).